It's designed with self-driving features in mind. Byton has yet to deliver a single vehicle, but that isn't stopping it from promising more electric cars. 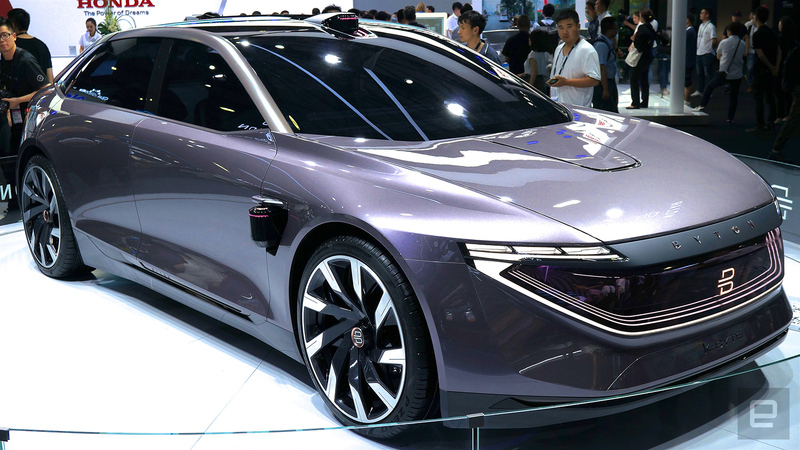 As teased in April, the fledgling automaker has unveiled its second EV, the K-Byte Concept sedan. It shares the same platform as the SUV we saw at CES (now called the M-Byte Concept) and, to no one's surprise, is designed with autonomous driving in mind. It'll include a retractable LiDAR system that kicks in during full self-driving scenarios and retracts when space is at a priority, such as when you're parking. The company is aiming for Level 4 autonomy where it can drive all by itself without human input, but only in specific situations. There's no mention of the interior, though we'd expect it to be laden with touchscreen tech like the M-Byte. It'll be difficult to escape the technology on the outside, at least. In addition to the LiDAR, the K-Byte will tout "upgraded" Smart Surfaces on the fascia and tail to create an "echo" effect. Although it's billed as a concept, the K-Byte is intended for production and is expected to reach the market in 2021. It's understandable if you're skeptical of that claim -- it's tempting to draw parallels between Byton and Faraday Future, which outlined a grand vision for its EVs only to scale back as practical realities and funding issues set in. With that in mind, Byton appears to be moving more cautiously. Its current strategy includes 'just' three EVs with prototypes in testing by April 2019, and it very recently secured $500 million in additional funding. Even if success is far from guaranteed, Byton is clearly eager to go beyond making grand promises and make something you can actually buy. Update: We now have hands-on images from Byton K-Byte unveiling taken by our Engadget Chinese colleagues. Enjoy!